Let’s say your car has all the bells and whistles: V8, Apple CarPlay, more sensors than Dunkin’ has donuts, even heated seats. All that, though, won’t do you any good if you are driving on bad tires. In fact, your tires are the only part of your car that directly contacts the road and therefore affect your vehicle’s handling, ride, braking, and safety. 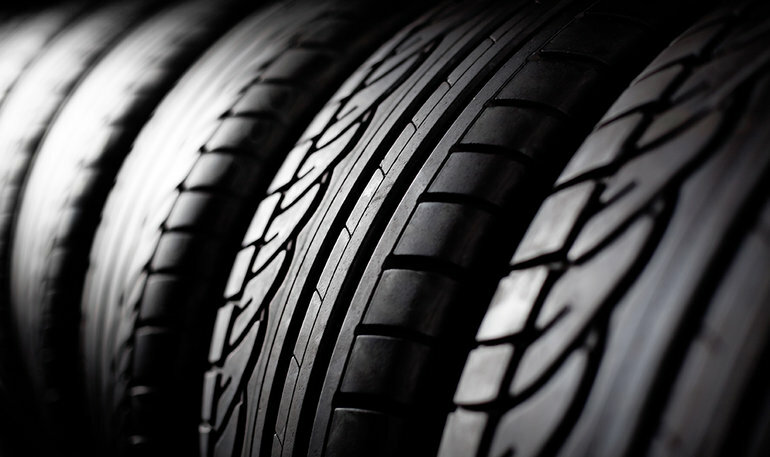 Several factors impact tire performance, including air pressure, tread depth, balance, and alignment. Checking your tires on a regular basis protects your safety and the investment in your vehicle. It is best to inspect them monthly, and always before a long trip. If you drive over potholes or debris, or regularly drive long distances, you should inspect them even more frequently. 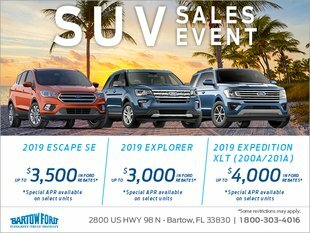 If, while doing the inspection, you spot deformities such as deep cracks or bubbles, have it checked out immediately by the friendly technicians at Bartow Ford. Under-inflation is the leading cause of tire failure. Under inflated tires also can lead to up to higher fuel costs. Conversely, over inflation causes the tire’s middle section to contact the road, which creates wear in the center of the tread. A regular visual inspection will easily tell you if it is time to replace your tires. The “penny test” is an easy way to check your tread. Simply insert a penny upside down into the tire’s tread groove. If the top of Abe Lincoln’s head is visible, the tread is worn out. You need to do this in three areas—the outer edge, center, and inside edge of the tire. Also check for erratic tread wear, which can mean that the wheel is out of balance or that the shock absorbers or another part of the suspension system needs to be replaced. If you see a raised portion of the tread or sidewall, it may indicate that one of the belts in tire carcass has separated from the others next to it.